Lost in the vast plains without a guide, a horseman must brave the elements and the local Cheyenne if he has any hopes of survival! In Man from the Sky,” Paul Torridon and his plainsman guide ride together on their way to Fort Kendry. But one morning the guide has vanished without a trace, and Paul is left with just his faithful steed. Paul knows that his destination will be near impossible to find without a guide, and that’s only if he and his horse make it out of the barren plains alive. But just as it looks like Paul’s luck has finally run out, he stumbles upon an ailing Cheyenne warrior sprawled on a small island in a dry gulch . . . The title story opens with renowned gunman Hank Peyton on his deathbed. Hank tells his son Jerry that he’ll be leaving him his legendary gun, known as The Voice of La Paloma. But Jerry soon falls on tough times and becomes easy prey for the corrupt sheriff and his posse, who accuse him of stealing horses. When the real horse thief is discovered, instead of clearing Jerry’s name the sheriff makes a deal with the outlaw: steal The Voice of Paloma, and the crime will be forgiven! 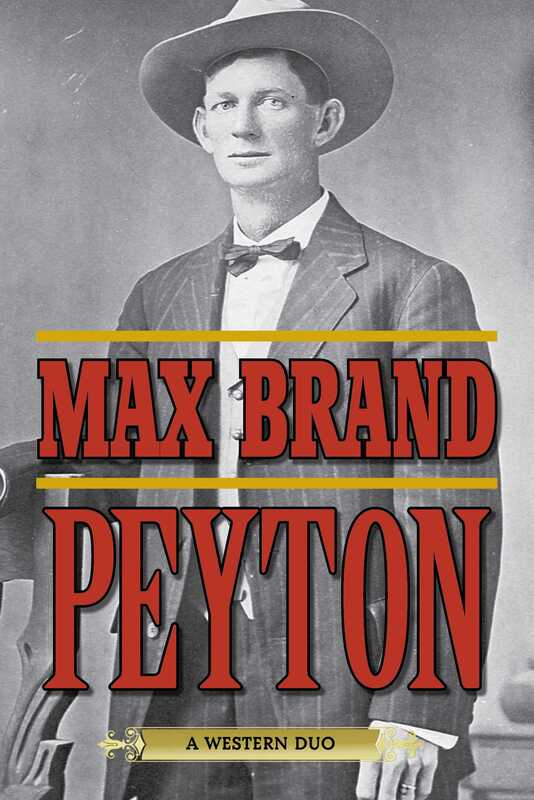 Peyton collects two of legendary Western author Max Brand’s most exciting stories in one volume, showcasing a master of his craft at work.